Due to so many models that I'm working on right now it's gonna be a while until I can get back to finishing this particular mothership so meanwhile I'll put it up for download on my server, in it's current WIP status (mesh is all done) for anyone who's brave enough to uv-unwrap and texture it. I figured I shouldn't keep you guys waiting for it for so long so here it is. 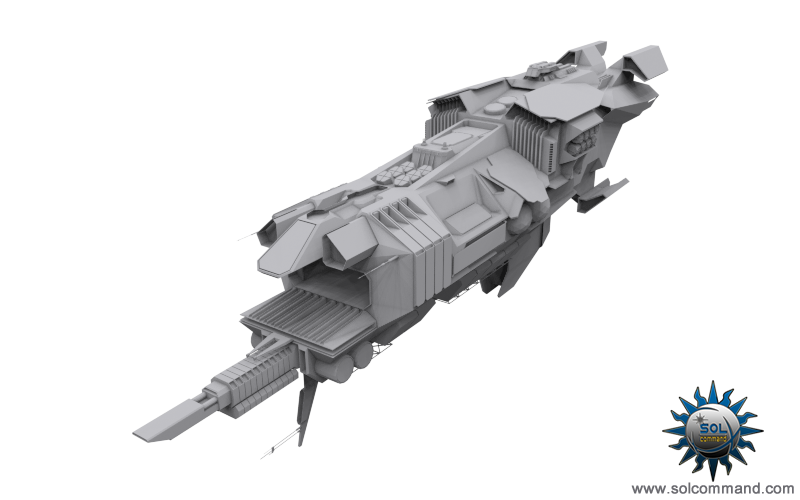 Hi Solcommand, see in the 3d viewer this ship with only a basic baked texture 1024x1024 and how light they was for presentation. Just noticed your reply mate. The ship looks fantastic ! Cheers for the heads up.